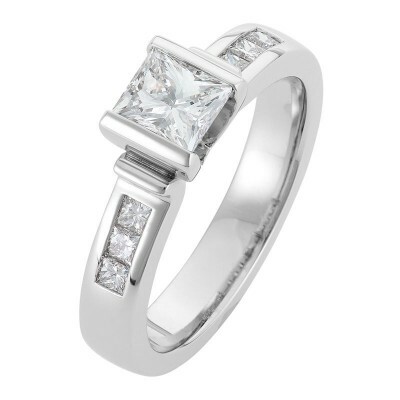 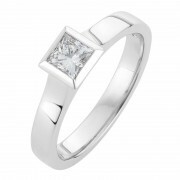 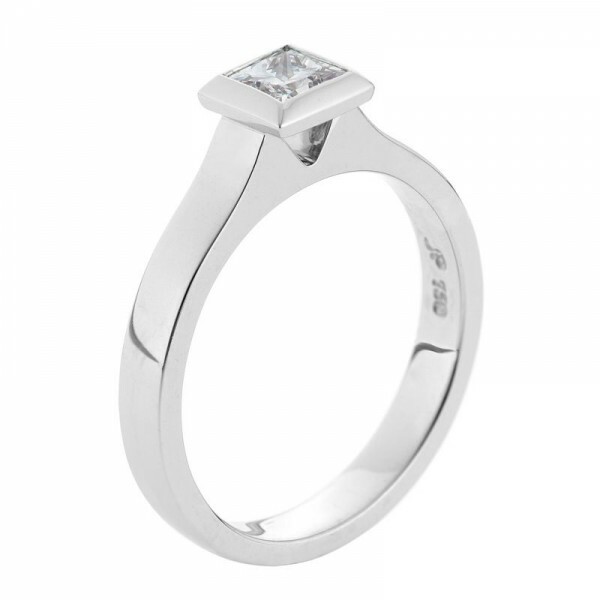 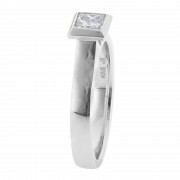 The Emma ring features a classic princess cut in a contemporary floating bezel setting. Clean square lines in the band perfectly compliment the square bezel, while the floating setting allows the light to accentuate this magnificent diamond. 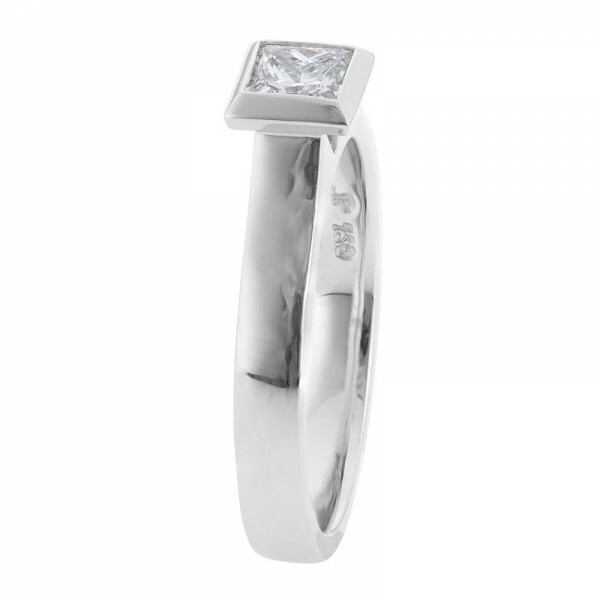 Dimensions: The band measures 3mm wide and doesn’t taper.